Gough, Laura, Neil D Bettez, K. Slavik, William B Bowden, Anne E Giblin, George W Kling, J. A Laundre, and Gaius R Shaver. 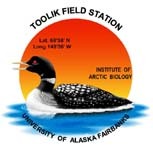 “Effects Of Long-Term Nutrient Additions On Arctic Tundra, Stream, And Lake Ecosystems: Beyond Npp”. Oecologia. Oecologia (2016). doi:10.1007/s00442-016-3716-0. Huryn, A. D, K. Slavik, R. L Lowe, Stephanie M Parker, D. S Anderson, and Bruce J Peterson. “Landscape Heterogeneity And The Biodiversity Of Arctic Stream Communities: A Habitat Template Analysis”. Canadian Journal Of Fisheries And Aquatic Sciences 62, no. 8. Canadian Journal Of Fisheries And Aquatic Sciences (2005): 1905–1919. doi:10.1139/f05-100.